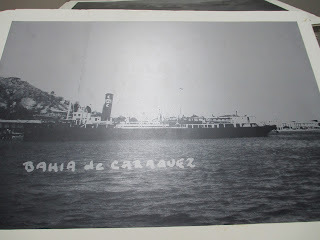 This article is: a tribute to the Gabarras; a reflection of the changes and progress in Bahia de Caraquez that we have witnessed in the last 4 years; and a reflection and consolidation forming a formal historical archive of community development commemorating Bahia de Caraquez's past. It is very timely in that after four months of review & analysis by the Ministry of Culture & Heritage Bahia de Caraquez has just been proclaimed the 27th patrimonial city in Ecuador (heritage status). This designation takes into account the submerged ( lower Santa Martha ) city of Los Caras, and over 55 architectural buildings & homes to be protected and preserved with heritage status. Many visitors to Bahia de Caraquez say it reminds them of a small seaside town they grew up in the U.S.or England in the 1950's. 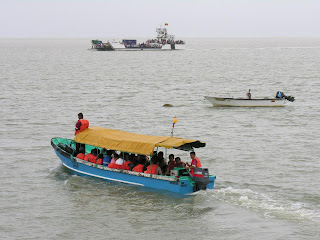 The major milestone for Bahia of the last several years was the building and completion of the bridge crossing the estuary of the Chone River and eliminating the Bahia and San Vicente icon of the twin Gabarras daily sailing. The two ferries sailed continuously daily ferrying vehicular and pedestrian traffic from Bahia to San Vicente and vice versa. They were commissioned by the government and built by the Ecuadorian Navy. 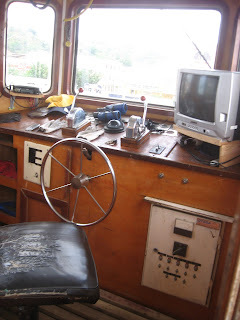 A glimpse into the wheelhouse. 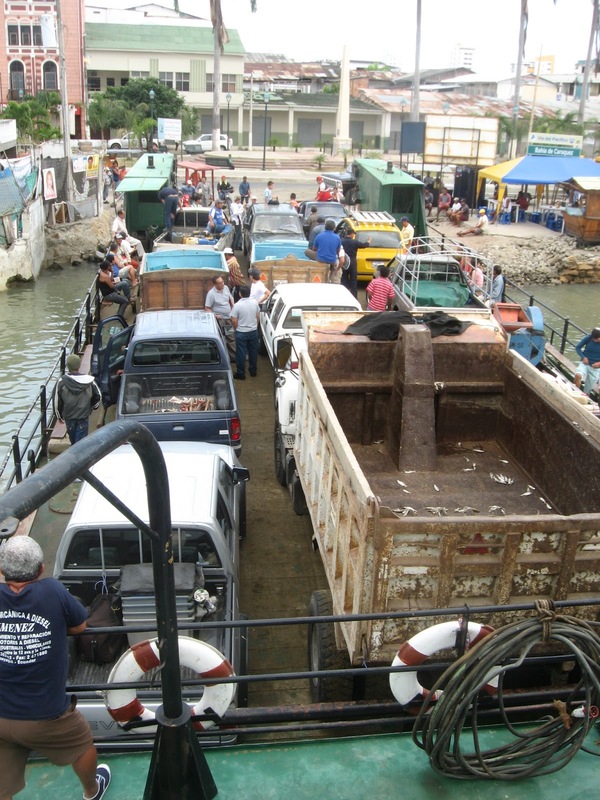 They started operations in February 1994 and left Bahia in December 2010 shortly after the bridge opened. 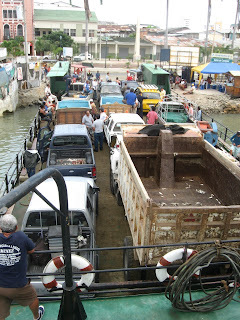 On both sides of the estuary the ferry simply " beached " , a drawbridge was lowered and vehicles embarked & disembarked. It held about 11 vehicles. The lines of traffic on either side were often several sailings wait which could easily be 90 minutes or longer. 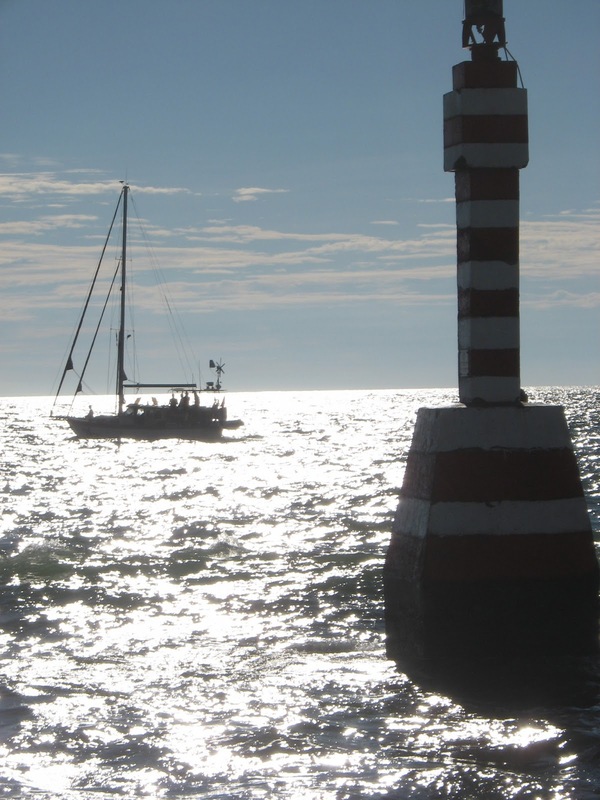 During low tides they often had to wait until the water levels rose sufficiently to enable safe passage. A business community developed on both sides to cater to the needs of the waiting passengers - drink, food, artisan crafts, clothing, music cd's, jewellery, ice cream, etc. During the landslides resulting from the El Nino all road access was closed for several months. The Gibarras were redeployed to sail to Manta and used for provisioning water, fuel, and all supplies for the city, and for that period provided the only access to Bahia. The Gibarras played an annual role of dual stage in the estuary / bay for the New Year's fireworks show and celebration. 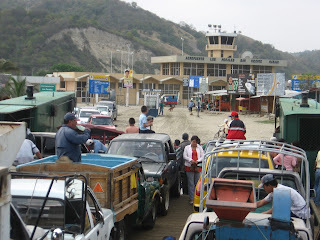 In a highly controversial move the central bus station, or terminal terreste, was relocated 7 km south of town in Fanca. After a long hiatus in high-rise construction ( since the last earthquake ) we have witnessed four new apartment high rises being erected, and one new eight story hotel adding to the skyline of Bahia de Caraquez. 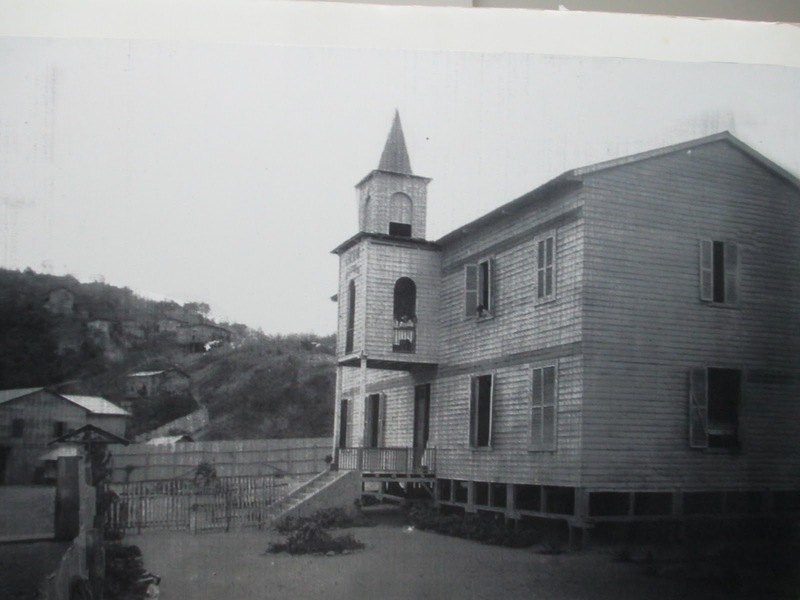 Several more buildings that were damaged in the earthquake have now been repaired and returned to operation. The metal structure is erected for the new shopping mall which will probably be completed in a year or so. This city has had a very tumultuous past, from political struggles with national government and fading promises, to mother nature regularly dealing significant natural disasters to the area. Bahia is often referred to as the cradle of Ecuadorian nationality as many foreigners settled the shores of this city. In 1789 Father Juan de Velasco wrote that early settlers came from the west on balsa rafts around 800 AD " los caras" built a city here. Carlos Chica, this city's historian and officer of the Museum of the Central Bank, speaks of the existence of Los Caras a city populated between the years 500 BC and 500 AD. National Geographic recently had a discovery expedition to film and document the " lost city "
According to several theories they would have arrived (by their physical traits) from distant eastern regions such as Asia. This controversial information literally rewrites world history which accredits Christopher Columbus with the discovery of the Americas in 1492. 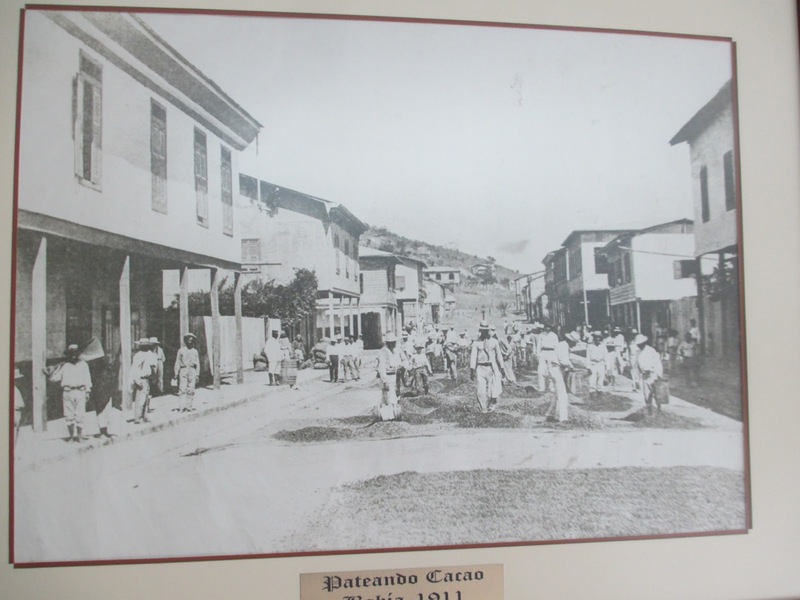 In the 1850's Bahia was comprised of just a few houses and a few commercial establishments. 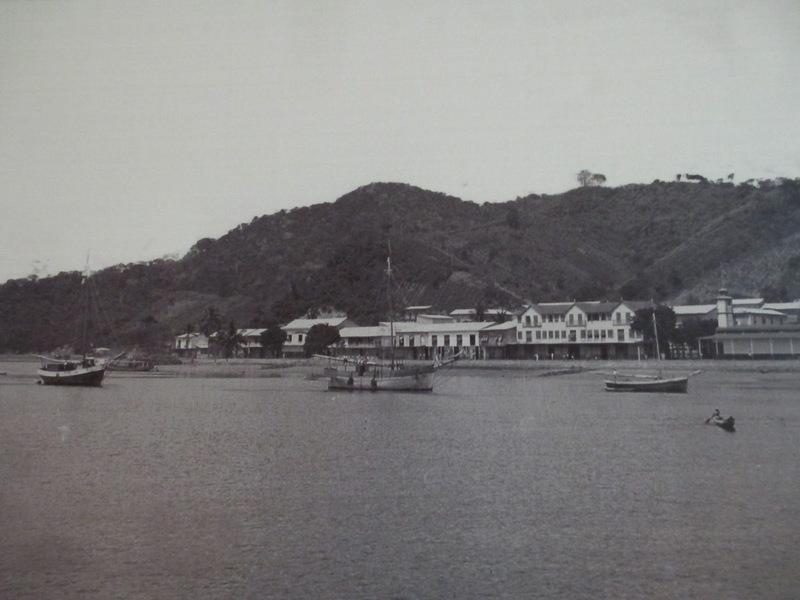 On occasion large ships would arrive in the harbour to collect cacao from the plantations in Chone. 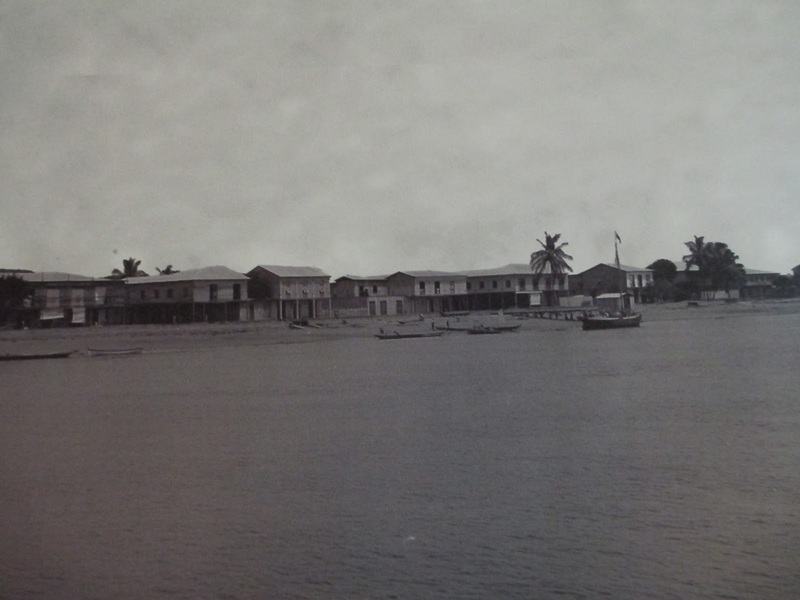 In 1867 Bahia de Caraquez was recognized as an International Port, receiving regular sea-going vessels, riverboats, with a defined shipyard where boat repairs were undertaken and vessels manufactured. 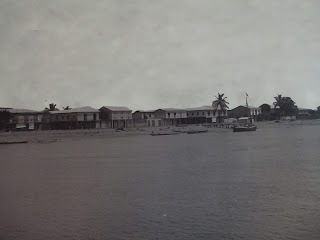 In about 1871 the collection of hacienda owners, and businessmen was said to have doubled, and by 1882 Bahia had 3 neighbourhoods defined by the riverbank street ( the wealthiest people ), and the second and third streets behind it. 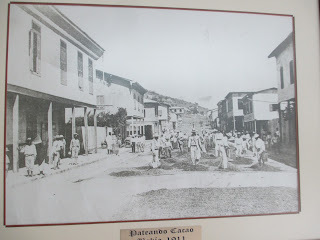 Legislative decree on November 3, 1875 formed " Canton Sucre " in honor of Marshal Antonio Jose de Sucre, in which Bahia de Caraquez is cantonal head. In 1883 the National Assembly declared Bahia as a major port. 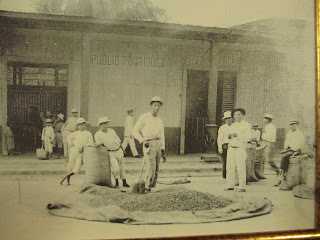 Cacao, coffee, bananas, coconut, peanuts, palm oil, higuerilla, rubber, wood, tagua (for the manufacture of buttons) and other handicrafts were exported. 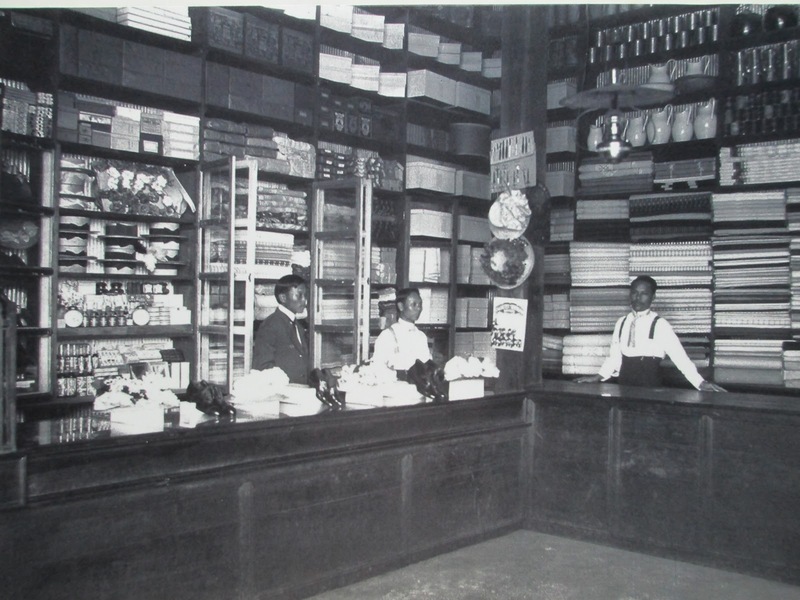 The port imported fabrics that families of Turkish, Arab, Chinese,or European descent traded. 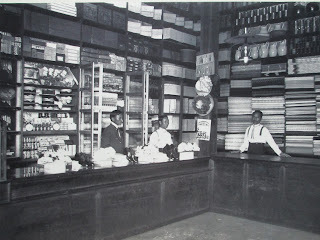 The major importers were House Tagua, the Santos House, Jalil House among others. 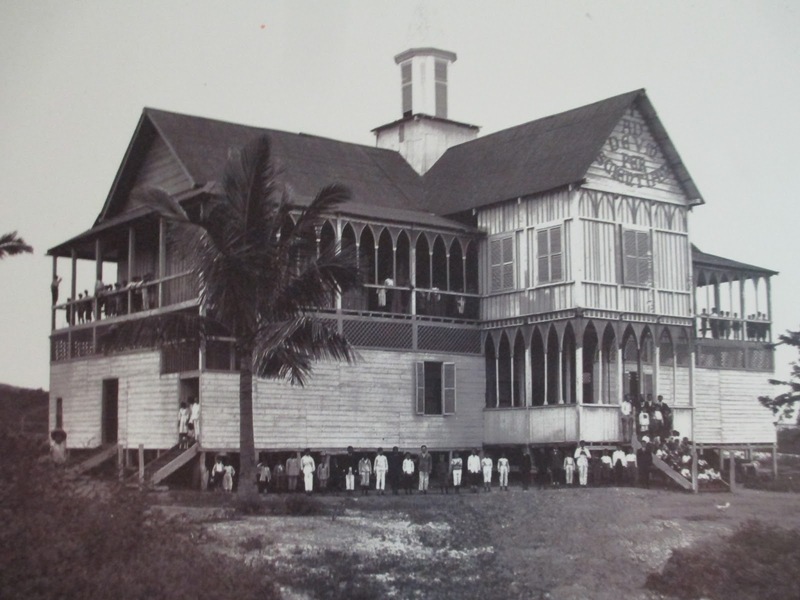 The census in 1891 had the population of Bahia at 800 whites and mestizos. 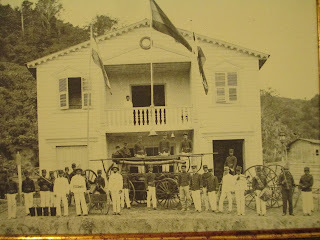 December of 1894 the Fire Hall was established under the leadership of Rosendo Santos. 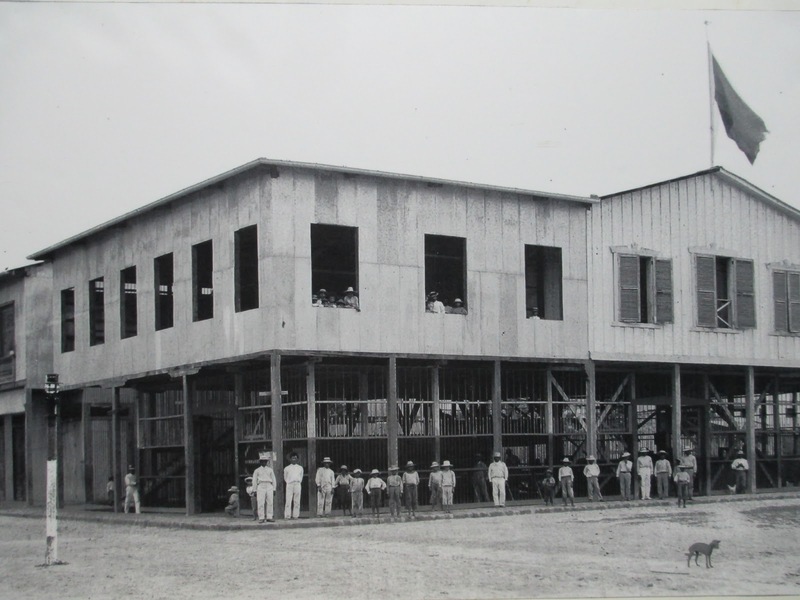 This photo of the fire hall is dated 1910. 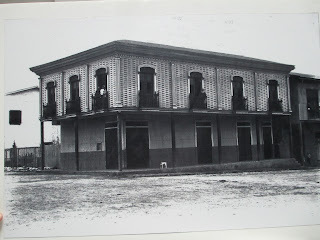 In November 1896 Collegio Pedro Carbo was opened in the northern part of the ciudela assuming the educational operations of Colegio Mercantil. 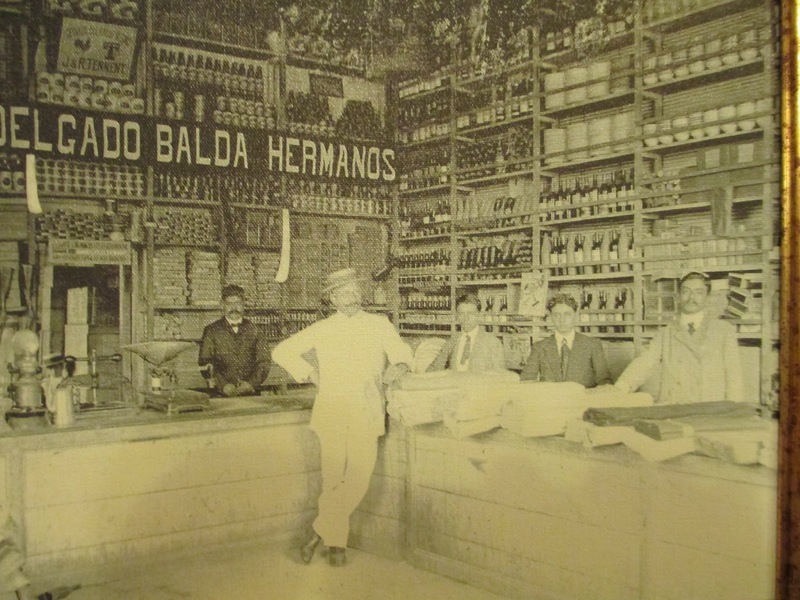 It operated until 1936 when it was replaced by Eloy Alfaro. 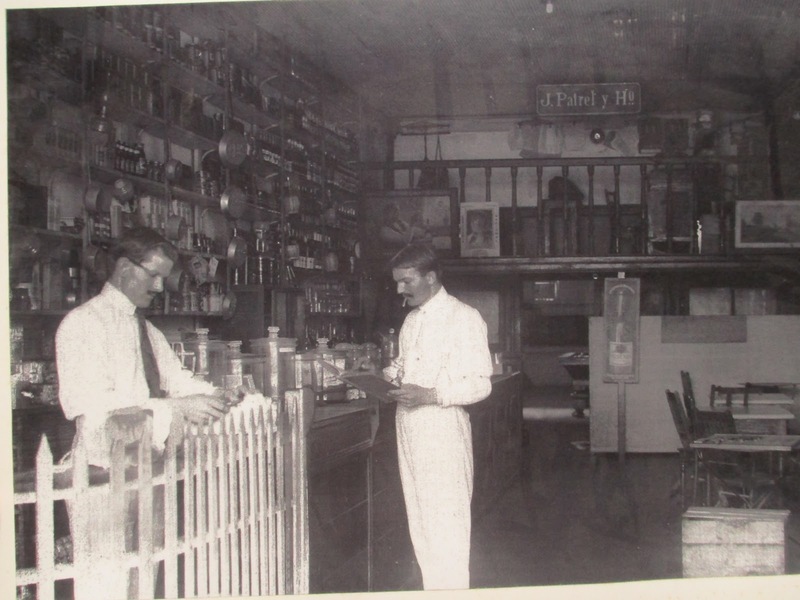 In 1905 U.S. opened a consular agency on the riverbank street. This wonderful character wooden heritage building still exists today but is in need of restorative work to be returned to its original glory. 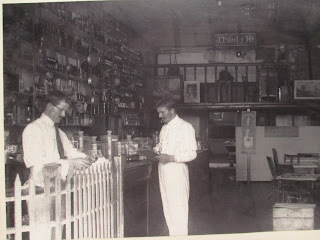 Paul Goddard an English commercial trader was the authoritative agent for about ten years. Colombia, Peru, and Germany also established foreign consulates here. 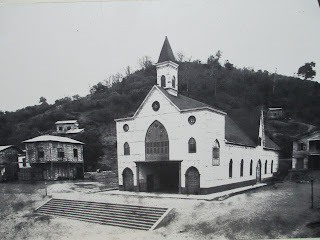 La Iglesia la Merced was built in 1906 by Alberto F Santos. La Iglesia Merced was built with fine wood brought from the United States and Europe, and many of the elements of construction were imported from other countries, remaining intact until the earthquake in 1998 which affected many of its architectural structures. Presently it functions daily as the principal church in the community. In January of 1906 a 8.8 earthquake struck the north coast of Ecuador creating a 5 m tsunami which resulted in the loss of 500 lives. President Eloy Alfaro's vision was to to build a railway linking Bahia to Quito. 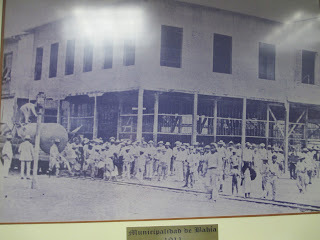 A French company was contracted and built 79 kilometers long linking Chone and Bahia before the first world war & great depression caused the project to be abandoned. Work started on July 20th, 1909 and the first rail locomotive operated on October 27, 1912. 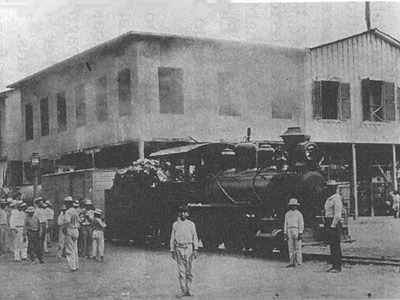 The railway was used to haul the cacao from the plantations inland ( Chone & Calcetta ) to the exporting port of Bahia to be loaded on a ship and sent to Europe for processing. 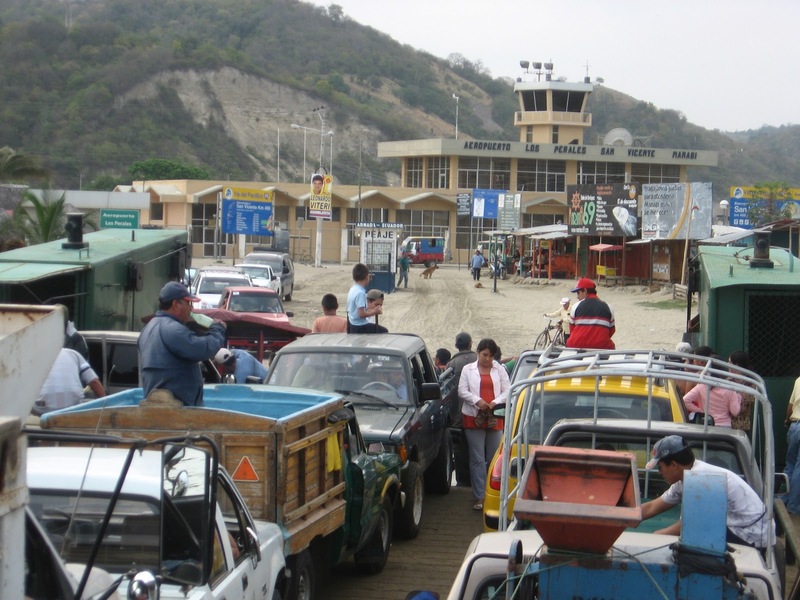 Economic activity motivated the presence of consulates, and the implementation of the railway from Bahia - Chone to facilitate the arrival of products for export and also for the arrival of imported products. The railway station was located in the neighbourhood of El Astillero where the maintenance yards and shops were located. The coal fired engines regularily caught on fire and were known to cause fires to houses close to the rail tracks. Today a park commemorates the workers, provides some history and antique railway tools, and facilitates restful afternoons under the shade of the palm trees. Drying Cacao in the main streets - Bahia had become a city with great importance in the country. 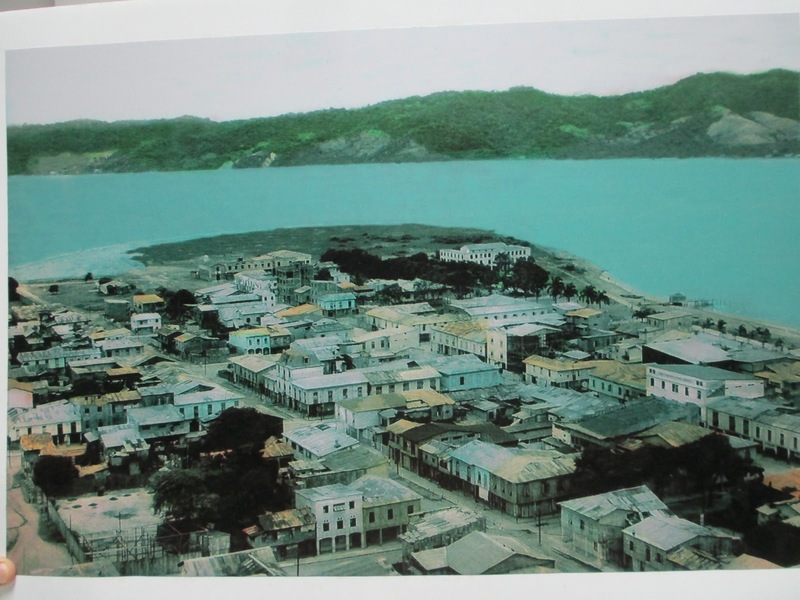 By 1910 Bahia had become a very distinguished coastal city, very clean, elegant buildings with paved streets,and now home to 3,000 residents. 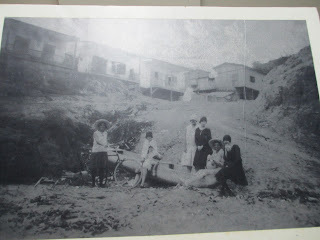 1916 marked the arrival of the first automobile to Bahia. The community Theater Sucre was inaugurated on July 1, 1927. It continues to hold prestigious community events, musicals, and drama in style and comfort and must have been very impressive when opened. On August 21, 1929 the lighthouse Faro de la Piedra construction was completed and opened as a navigational guide for seagoing traffic. 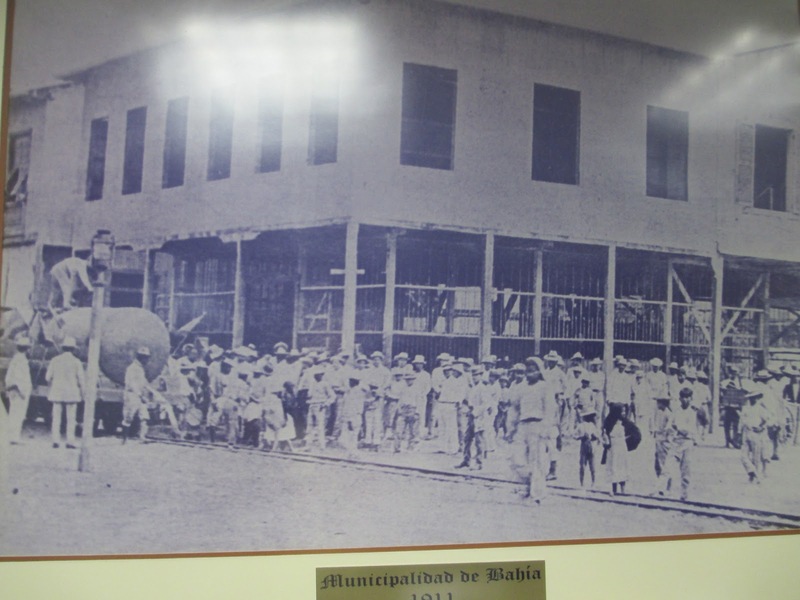 1930's marked the last decade of prosperity for Bahia. And to this day local citizens anxiously await a future turnaround. 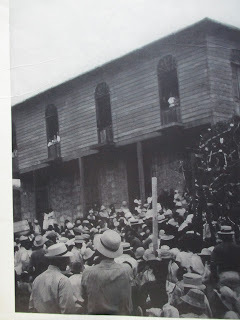 In 1937 the hospital Miguel H. Alcivar was inaugurated. Previous patients were treated in several clinics or more commonly their own homes. It is not uncommon today for professional healthcare still to be provided in your own home. 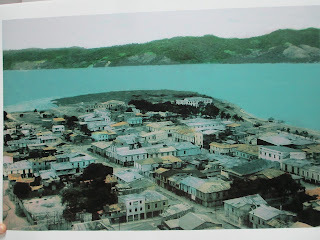 May 13th 1942 Bahia had three major tremors 4.7 5.7 & 7.1 within one hour in which the city suffered extensive damage. Local residents will attest to the community being subjected to a major quake every 50 years. 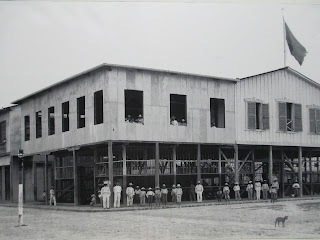 In 1949 the airport Los Perales was opened for air traffic. Due to a frail economy there was insufficient commercial traffic and it was closed shortly thereafter. For many years it only received government and small private planes. It was reopened and operating with commercial traffic from 1996 to 2002. Then closed once again due to facility shortfalls and insufficient traffic. Currently we find several promoters and developers indicating the airport is brand new and just about to open ! In the 1950's a large ship ran aground in the harbour and Lloyd's of London stopped insuring ships destined for Bahia. The harbour was silting up rapidly due to clearing of land for farms, removing the mangroves for shrimp farms, and deforestation. Dredging the harbour was becoming increasingly difficult, and the country decided to redirect port traffic to Guayaquil. With the absence of cargo ships the demise of the railway occurred in the mid-fifties. Casa Velasco Santos was the last major exporting house to close in 1960. This is when the widespread unemployment that we continue to see today actually started. Children were sent abroad for education, and families that were able left for employment and opportunities abroad. Casa Velasco currently operates as a private museum and is currently for sale. The decade of the 1980's saw tremendous economic stimulation from shrimp farming. 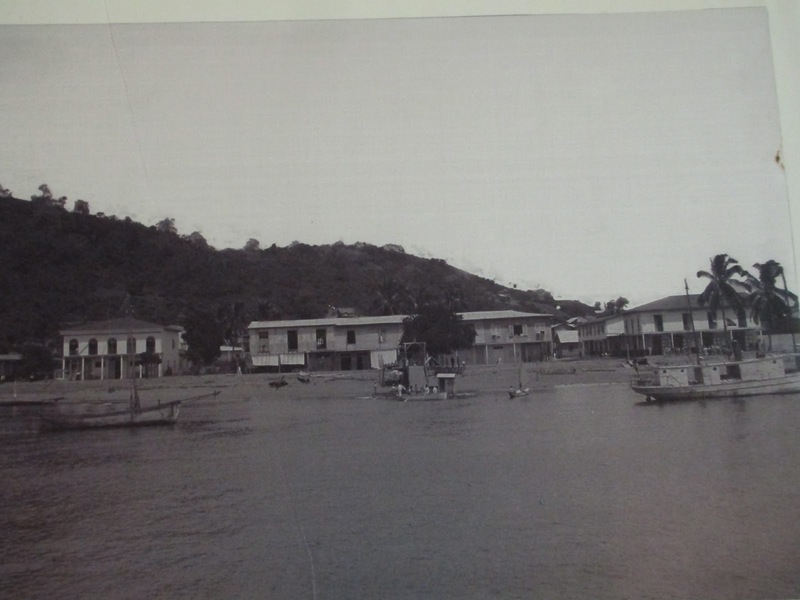 A photo of the ciudela in Bahia in the 1970's prior to any multi-story condominiums or apartments. In the 1990's a building boom in vacation condominiums for wealthy residents from Quito changed the skyline of Bahia. 1997-98 the strongest El Nino in recorded history caused $ 2.8 billion damage to Ecuador and devastated Bahia. The rainfall started in November and lasted until June. The city was inaccessible by road access for over 3 months. 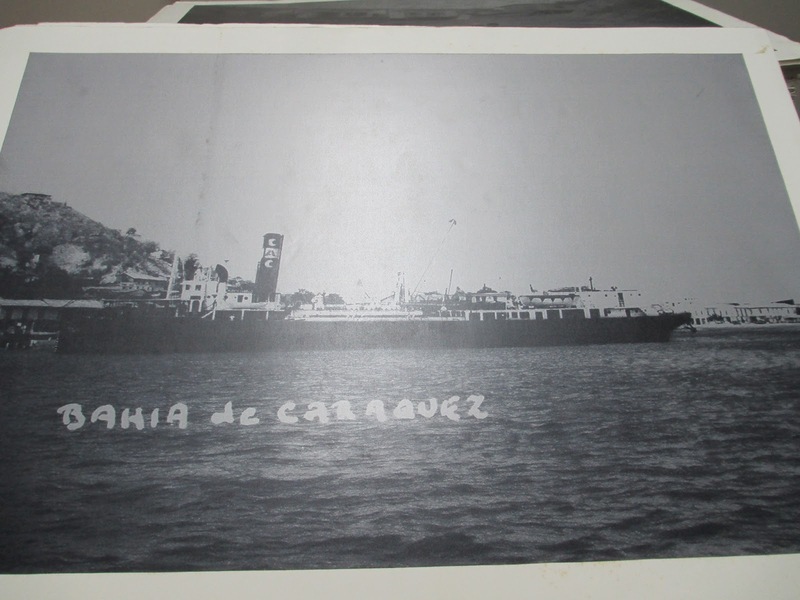 Necessary water, fuel, supplies and food was delivered by the Gabarras from Manta. To assist the gabarras two flights weekly were added to bring in lighter medical and emergent or specialized supplies. Displaced and evacuated residents were living in schools , churches, many public buildings, local hotels, and private residences. The city was filled with tent camps housing over 300 resident families who had lost their homes. It is unclear why the country never declared a National Disaster or provided any support for this area. Entire neighbourhoods were devastated and required relocating. 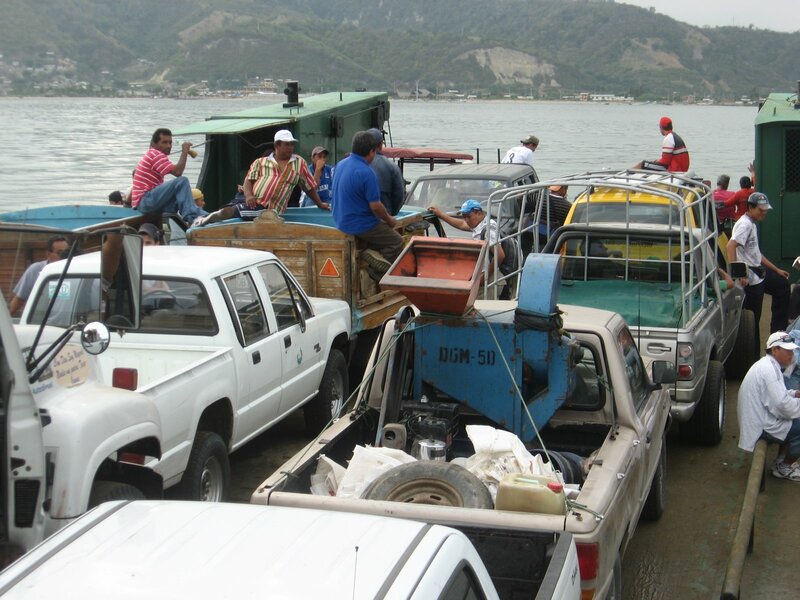 The densely populated neighbourhood of Malecon 2000 along the estuary resulted from hundreds of families being relocated due to this disaster. Then on August 4, 1998 Bahia was dealt two major earthquakes a 5.4 & 7.2. It is thought to be fortunate that the smaller quake actually alerted the residents and minimized the casualties that could have resulted from the larger quake if it had occurred without any warning. Civil defense evacuated the city for fear of tsunami. Most buildings in excess of 3 stories were damaged and water, electricity, and telephone services were disrupted. In 2001 the regional museum del Banco Central del Ecuador was inaugurated. It replaced the exhibitions and collections housed in the Casa de Cultura, and became a fine cultural showpiece for the city. 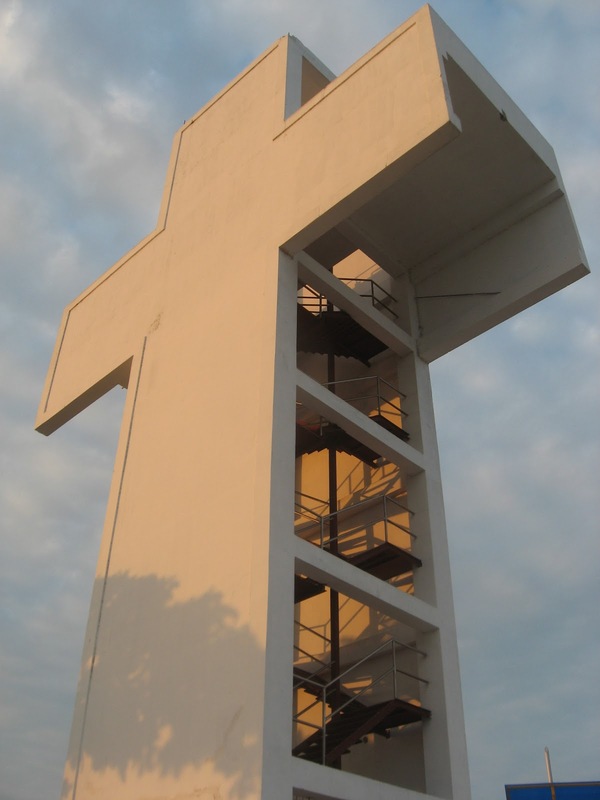 An icon whose blue-light silhouette at night, is the 19 meter tall cross perched on the hill behind the ciudella in Bahia. Completed in April 2007 locals, and tourists can ascend the stairway within the cross to an outdoor balcony where you can enjoy magnificent vistas of the city and bay. Thank you for your positive feedback. Absolutely we encourage and have several articles posted written by guest writers !